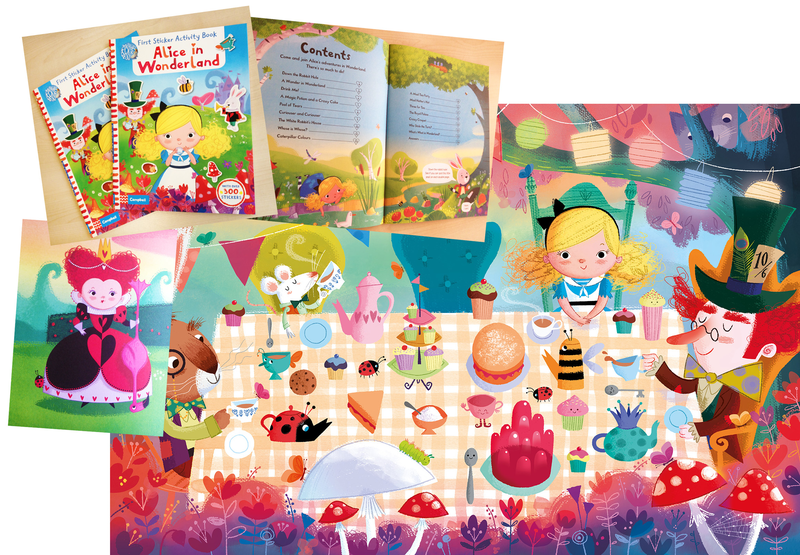 Curiouser & Curiouser – Dan Taylor Celebrates 150 years of Wonderland! Lewis Caroll's Alice in Wonderland has been a unique source of nonsensical artistry & whimsical storytelling for the past 150 years and will continue to inspire book lovers the world over for generations to come. This week, Dan Taylor's vibrant sticker book published with Campbell this July and includes over 300 stickers for Wonderland lovers to enjoy. Our latest addition to The Artworks, Laurindo Feliciano has blown us away with his first job for Publicis Mojo in Sydney. 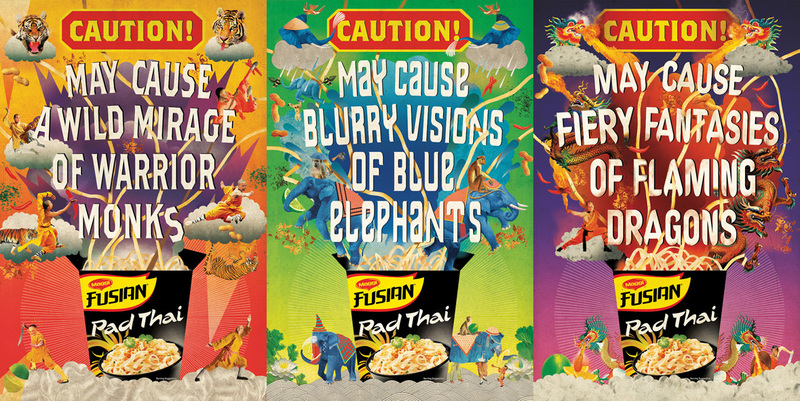 Laurindo was selected to illustrate the new ‘CAUTION’ campaign for Nestlé’s product MAGGI Fusian Pad Thai. Laurindo’s surreal and imaginative illustration made him the perfect choice to help create this stand-out campaign. Michael Dole, Creative Director of Publicis Mojo, Sydney: “We were incredibly lucky to work with Laurindo, who added his own brilliant ideas and imagination to bring the concept to life. God only knows what goes on in his head.” Well done Laurindo, we can’t wait to see what you do next!